A light-weight eye serum that helps to smooth and firm eye contours, targeting fine lines and wrinkles for a more youthful appearance. Lightly pat two drops around the eye contour, twice daily. Apply beneath Pro-Collagen Eye Renewal or Pro-Intense Eye and Lip Contour Cream. As a special eye treatment, layer under Absolute Eye Mask twice a week. Suitable for all skin types especially ageing. 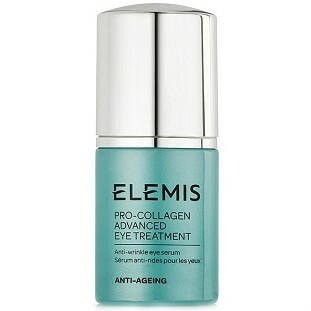 With a formula incorporating blue flower linseed, amino acids and macro cellular complex, Pro-Collagen Advanced Eye Treatment has been designed to target fine lines and wrinkles in an area which is one of the first to show signs of premature ageing. Its lightweight texture with natural humectants helps to maintain moisture levels to smooth and firm the eye area, without overloading.